I’m just back from a weekend trip on Allegiant Air, one of the many “discount/no frills” airlines currently in operation in the US. The cost to fly from Medford, Oregon (MFR) to Los Angeles (LAX) was $116 round trip – almost $200 cheaper than any other airline flying the route. This was my first time using Allegiant, and I was delighted by the low fare. Especially since I was able to keep from paying any “extra” fees too, because I paid for my ticket with a debit card (using a credit card would have cost an additional $7.71), I didn’t have any carry-ons or checked bags (carry-on $30, checked bag $40, round trip), I didn’t assign myself a seat (pre-assigned seats, $31 round trip), I didn’t print a boarding pass at the airport (airport printing, $5 each way), and I didn’t ask to board first (priority board access, $10 each way). I also didn’t ask for water or soda on the plane ($2 soda/water, $7 beer and wine). Wow. The extra fees would have doubled the cost of my ticket. I did not use the bathroom on the plane, so I can neither confirm nor deny the rumors of coin-operated toilets. I brought one bag with me, which fit under my seat. Allegiant makes a very big deal on their website about the size of a personal item. It MUST, in no uncertain terms, fit completely beneath the seat, and may be verified for size at the airport before boarding. Needless to say, I was careful that the bag I packed would indeed fit underneath my seat. I worried for no reason though, because none of the Allegiant ground crew looked twice at a nyone’s carry-on bags or personal items. And once we were on board, the flight attendants told everyone that they could put their bags into the overhead compartments if they wanted to. To me, this appeared to mean that one could put a bag overhead whether they had paid for a carry-on or not. 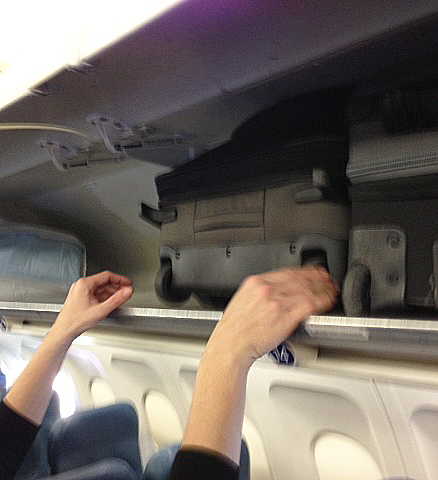 Our plane wasn’t full, so maybe when Allegiant flights are at capacity, the employees pay closer attention to whether travelers have paid for a carry-on – but it sure didn’t seem to make a difference on this flight. 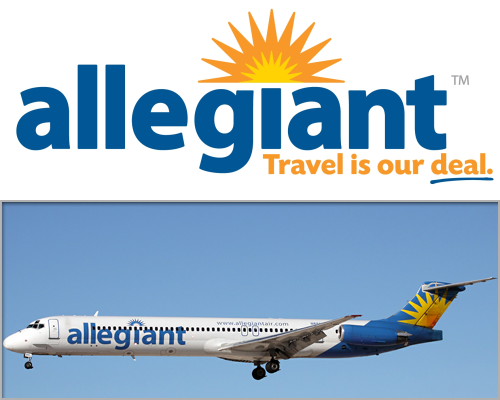 Allegiant currently flies between Medford and Los Angeles twice a week, on Sundays and Thursdays. Our flight home on Sunday evening was more than two hours delayed, due to a mechanical problem. At one point the gate agent said the flight was cancelled, but later retracted the statement when the minor problem had been fixed. This got me to thinking… what if our flight had been cancelled? I’m pretty sure Allegiant doesn’t have a back up plane in Los Angeles. After searching the web for Allegiant cancellations, I discovered that I was lucky my plane was repaired, since Allegiant doesn’t appear to have an agreement with any other airlines in case of cancellations. Could I have been stuck in Los Angeles until the next day a Medford flight was scheduled, four days later? I think it’s possible. So here’s what I learned flying a no frills airline. There really are no frills. And the “cheap” fare could have gotten significantly more expensive if I paid some of the extra fees, or if I’d had to book a return ticket home on another airline, because Allegiant couldn’t get me home. 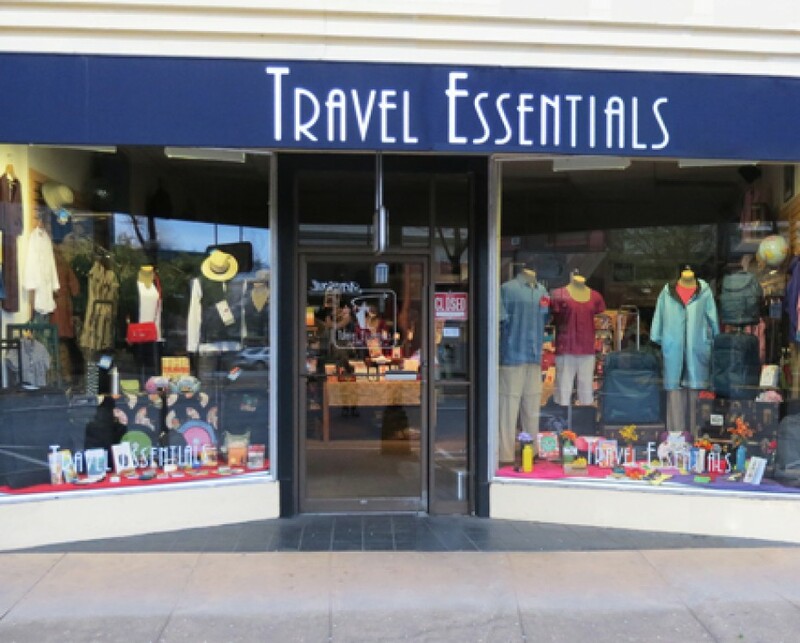 I’m open to discount/no frills airlines, but I’ll be selective when I book a ticket on one. Because once again, you get what you pay for.